This looks so delicious and fun to make! 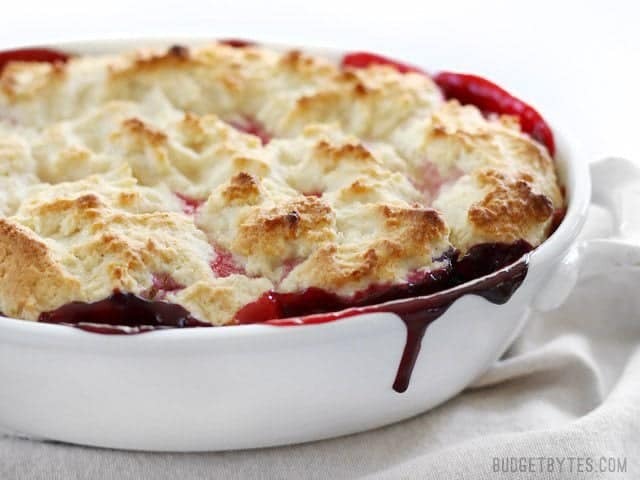 I don’t have a casserole dish though and I’m pretty new to baking, could I make this in a pie plate or 8 in. square baking pan instead? 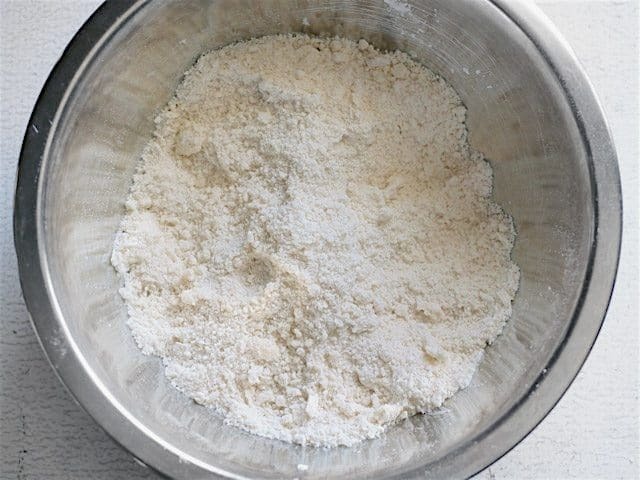 Would I need to adjust the recipe and baking time? I’ve used a 9″ pie plate and it was fine. In that case I would definitely put a baking sheet underneath just in case, though. 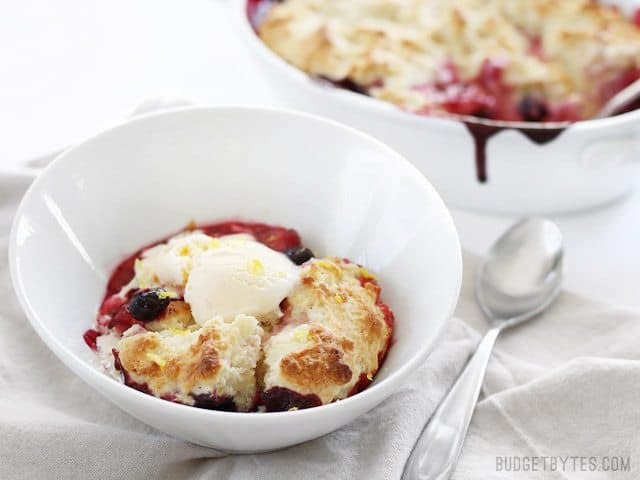 This cobbler saved my life! I’m moving across the country and needed something to serve as a thank you for taking me to the airport + a housewarming gift. This cobbler was it. My friend and I tore into the cobbler after inhaling our dinner and it was AMAZING. The cobbler on top was light and fluffy, while the fruit on the bottom wasn’t overly tart or sweet. This recipe will be my go-to for a quick dessert. Thanks, Beth! I have been reading a lot of recipes on here and made a handful but this one definitely impressed my audience. I brought this to a work picnic and everyone was surprised that I made this since apparently it tasted heavenly. Thank you! I made this last night for my husband and I – it was FANTASTIC. 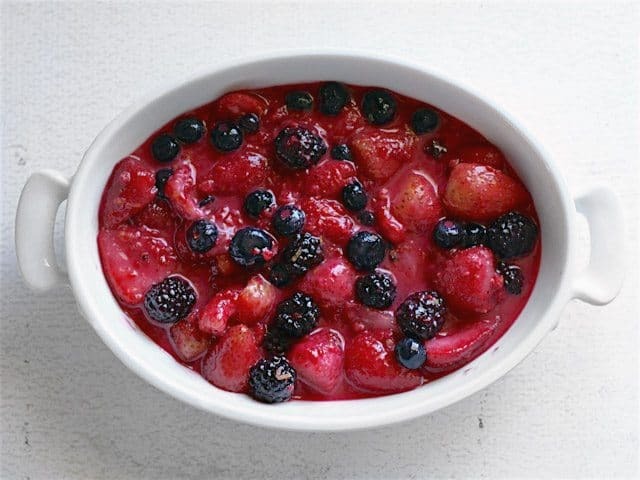 We’re going to be having this a lot this summer (and forever, bc frozen berries :-) ) Thanks so much for this delicious and simple dessert! 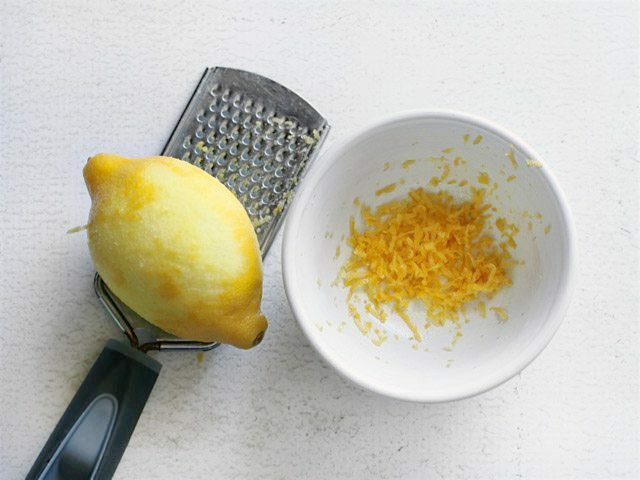 For those who don’t have a zester/cheese grater (I grate things with my food processor) – I’ve found that peeling lemon/orange/etc. and then squeezing the peels through my garlic press works just as well! Love this recipe!!! You are so awesome at what you do!! God bless you! Wonderful colour… looks so delicious! So I usually don’t cook often and baking is especially scary for me. Your recipes always turn out really yummy for me and I saw this one and wanted to try it. I didn’t have a dish the size I needed so I bought one of those disposable foil pans and this still turned out amazing! 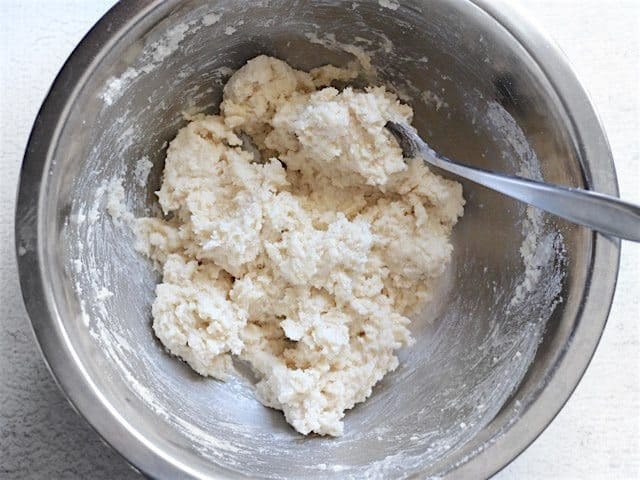 Thank you so much, the dough is especially delicious! 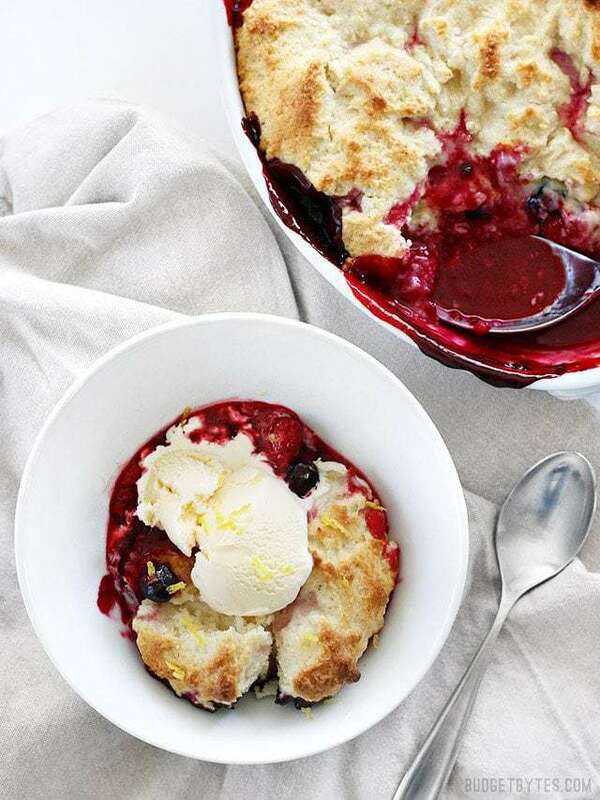 I go berry picking every summer and this looks like the perfect complement to my fresh picks! Another winner. 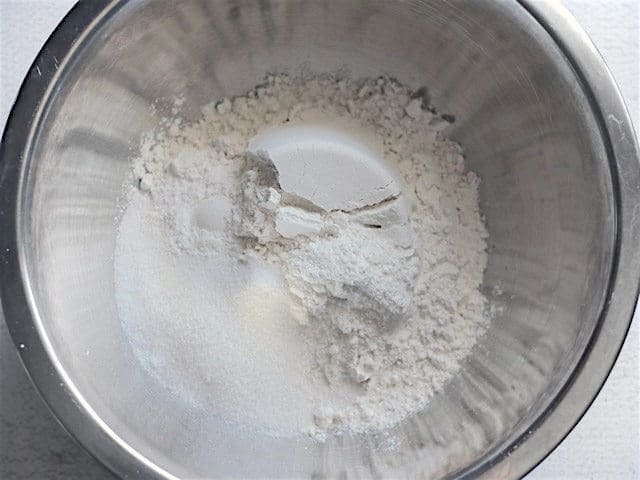 I knew it was going to be good when I licked the batter spoon after the dish was in the oven. 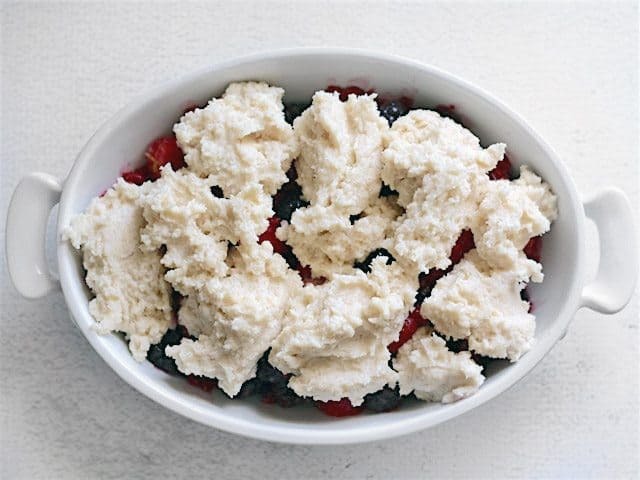 1yr old son loved it, husband inhaled it while daughter just ate the cobbler and left the berries (more for me). I enjoyed this almost as much as your Spiced Brownies. This recipe looks amazing! 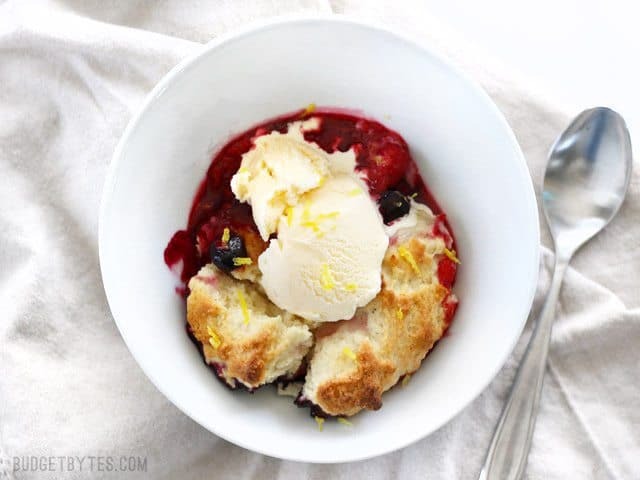 I’ve never made a cobbler – I never realized how easy it could be! It seems like it’s the perfect summer treat – to enjoy on a patio with a big glass of wine! I made this last night using half a bag of raspberries and half a bag of blueberries. This was a total hit with my family! I love this type of dessert the topping is perfection! I will be making this a lot this spring and summer. It would be great to take to a friends house when I’m asked to bring a dessert! 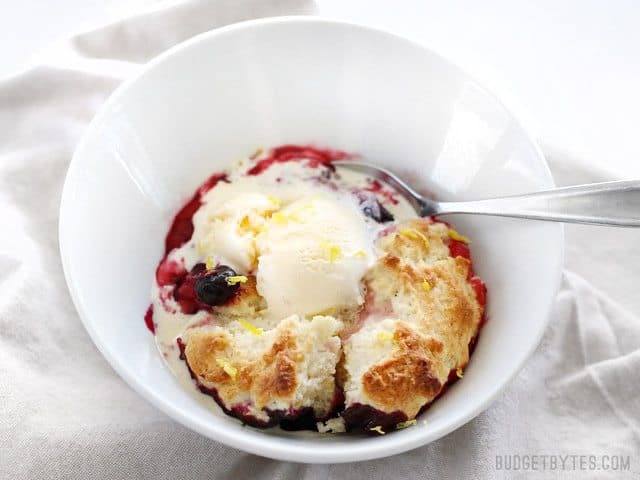 I love the combination of lemon and berries, so I’m definitely making this. I have access to some fresh (and free) berries. 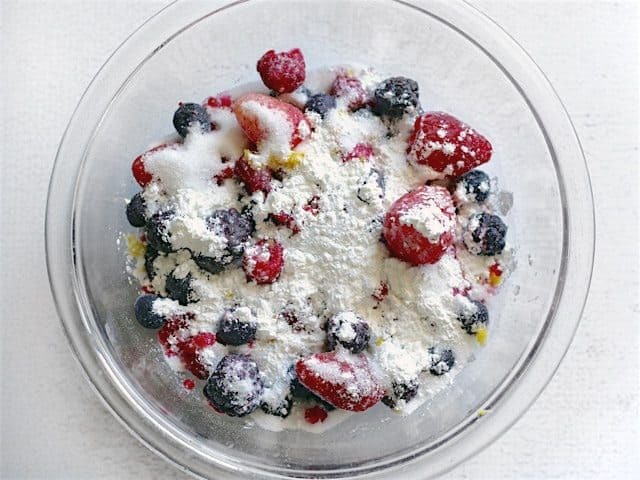 Do you think I would need to adjust the recipe in any way if I used fresh berries? I don’t think it would need any adjustment. It will look dryer (not so soupy) going into the oven, but the berries will burst while they cook. Holey moley, it was hard to wait for this to cool down enough to eat! I had a bit of dough leftover after topping and baked 2 mini-biscuits alongside the cobblers (8-10 mins) and they were tasty on their own too. Next time I might cut back the sugar a little bit because I found that my berries were plenty sweet. I got the dish at World Market! :D So many fun dishes there.